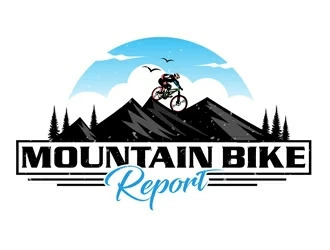 Mountain biking is considered an extreme sport, there are certainly more risks involved when mountain biking compared to regular road biking. Therefore if you want to continue to have fun for a long time at this sport then it is worth it to protect yourself especially your upper body. From my experience and research I have found the best upper body armor to be the Fox Racing Titan Sport Protective MTB Jacket. 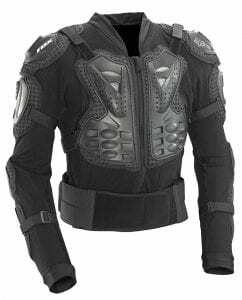 I have found this jacket to give me good overall upper body protection especially at high impact areas. These include shoulders and elbows, you’ll probably land on them first. Chest and ribs area, maybe you fly over your handlebars. Chest, back, and kidney area, perhaps you slam into a tree or land on rocks, no fun. This jacket protects you by using its high density plastic armor plates. There is a full plate for your back which runs low below your waist. Then there are two plates for your chest, one for the right and one for the left side. There are plates for each shoulder, both upper arms, and for both of your forearms. All these plates sit on top of comfortable foam padding. This padding will absorb any impact you may experience. Yes, the Fox Racing Titan Sport Protective MTB Jacket uses CE certified armor. What does the CE mean. CE stands for “Conformité Européene” which literally means “European Conformity”. This has to do with European motorcycle safety standards. So this armor is good enough for motorcycles which go much faster than mountain bikes. This is really the best protection you will find. If it is good enough for motorcyclists then it is even better for mountain bikers. This jacket is easy to put on. Just put it on like a jacket, then just zip it up. After you zip it up, there is a waist belt which fastens around your waist over the zipper area. This waist belt brings the entire jacket together securely as the waist belt tightens the jacket in toward your body. The entire jacket is fitted with a vented mesh material which is great for air flow. The foam padding and the plastic armor plates are attached to this mesh material allowing for a full range of motion. You can easily customize the fit of the jacket by using its many adjustable straps. The front shoulders have adjustable Velcro straps. There are straps at the bicep and forearm level. Plus there are rear shoulder straps for further adjustment and comfort. I have not been in any crashes thank goodness, knock on wood. So I researched many reviews of people who have been in a crash while wearing the Fox Racing Titan Sport Protective MTB Jacket. Here are two which impressed me. One rider explained he had a bad crash and fell hard on a rock with a sharp edge. He landed directly on the rock at the rib area. It knocked the wind out of him, but it did not puncture the body armor plastic. This saved his ribs from being severely damaged. Another rider said he bought this specifically for downhill mountain biking. He had a crash which landed him onto some rocks. His back also slammed into a tree. His upper body had no scratches or bruises. He also said he felt as if the impact was distributed out across his back. These two examples I think prove that this body armor is capable of protecting your upper body from serious impacts. These impacts can come from the ground, rocks, or trees as a result of a crash.